The holiday weekend is over and now, back to reality (a.k.a work). I couldn't find time to post these fitting room pics over the weekend but hope you guys still find this post helpful. My husband and I spent our Independence Day at the outlet mall. We were out for 6 hours and below is what we came home with =) Let’s start off with my favorite find of the day at Kate Spade. Kate Spade offered 50% off the entire store plus an additional 20% off all handbags. I bought this wallet a couple months ago when I was in Chicago and am absolutely love it. I was thrilled to see the matching cross-body. I was going to get the yellow one to match my wallet but the husband said I need variety =) I ultimately decided to go with the red/orange one. My sister and my Mom each left the store with a purse as well. 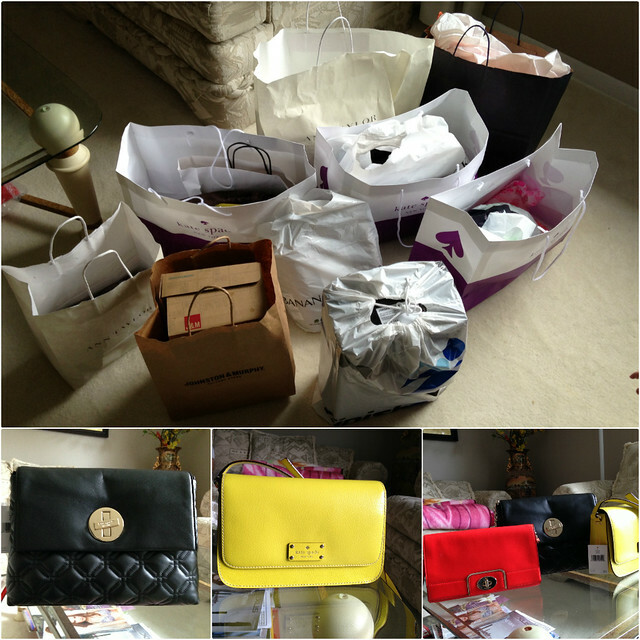 3 purses would normally cost us over $800 and we ended up paying a little over $300 for all. What an incredible deal! I really love mine. It’s stylish yet practical. I will provide more close up pictures in a later post. Although, the prices were great, I passed on everything just because I wasn't in love with any of the pieces enough to make a purchase. I actually liked this dress. It fits well and is really affordable. However, the material is so thin and it shows everything in person. Yikes! 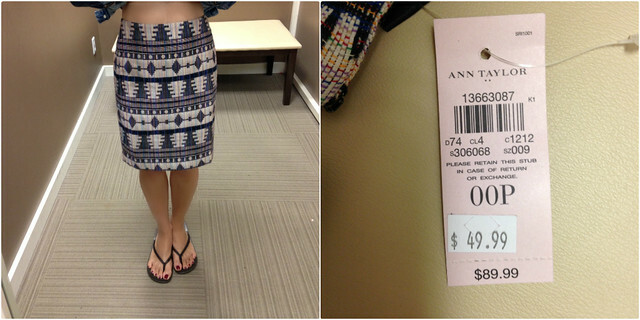 I took this skirt home with me (see it on Jean). A size 00P measures 13" across the waist and 19" in length. The fit is passable on me. It could be a bit slimmer tho. I will try to slim it myself since the lining isn't attached to the skirt itself. I hope you all had a great holiday weekend. We came home just in time for a BBQ with the family and were able catch some fireworks later that night. 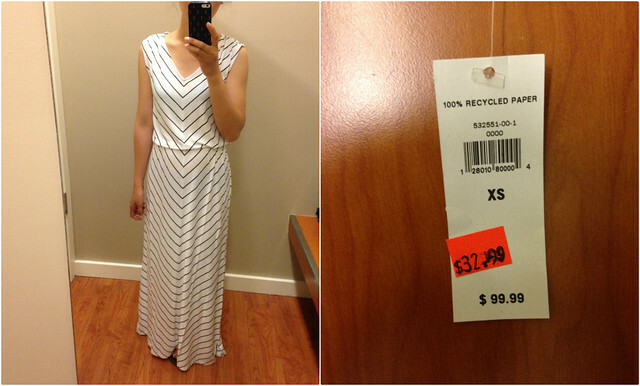 Great finds and awesome deals! I love the first dress and the Kate spade! Your day of shopping sounds fun and fruitful. I hope you had a relaxing time off work. omg.. I wish I went on that shopping journey with you! That looked like so much fun. Glad you got some great deals! Dang girl! What an amazing haul!!!! Glad the little one was well-behaved! Did your older one spend the day with grandparents? 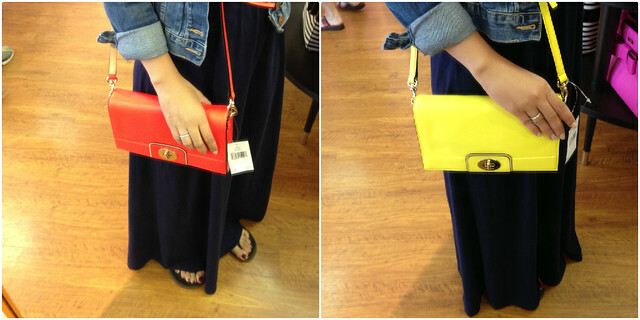 I love the crossbody Kate Spade bag too! Love the variety :). Love your Kate Spade finds! wow that's an awesome deal, love the KS of course. What a great day! The Kate Spade bags really stand out to me. I really want one...one day it will happen ! 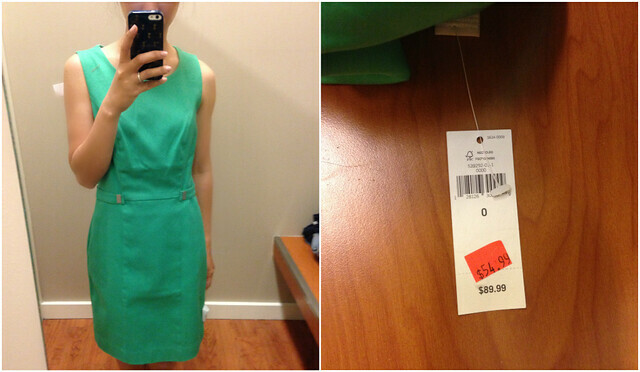 Yay for sales! I actually couldn't tell if there was even any Independence Day sales..since it was in the middle of the week, I wasn't sure if it was the weekend before or after. But I went shopping the weekend before and there wasn't any Independence Day promotions and my aunt told me she went afterwards and still nothing. Wow, glad you found so many great deals! 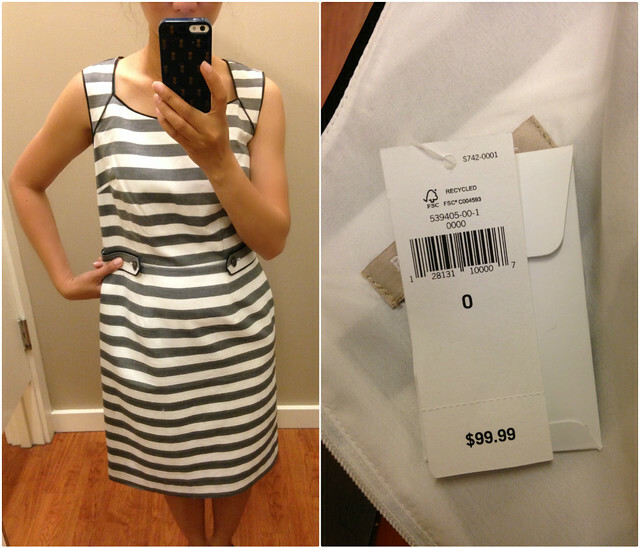 Disappointing that the gray striped dress was so big on you, it had so many pretty details! Wow, it looks like you found a lot of great deals! Those bags are super pretty. oh wow! you scored some awesome stuff! i love that yellow kate spade and stripey dress. looks so good on you.